Move aside dry, chapped lips – you are no longer an issue! I’ve found three complete lip saviors that not only make my lips soft, full and juicy but also smell and taste divine. As a long-term dry lip sufferer, I’ve tried a lot of lip balms, but these three babies have definitely impressed me the most. They are different and unique and offer the perfect lip nourishment. Love. Them. NUXE Reve de Miel (here), where have you been all my life! If I have to choose only one lip balm to use for the rest of my life, without blinking an eye I’d go for this gem. This godsend product has it all covered – it is specifically designed for dry, flakey lips and is enriched with honey and precious oil to nourish and condition the deeper layers of the lips. Reve de Miel leaves my lips super soft and smooth and it actually makes them appear fuller and more supple. The consistency is a bit odd as it’s very thick and feels a bit grainy, but once the balm melts – it feels lightweight and smooth. It dries matte, so if you have chapped lips, put a thin layer under your lippy and you are good to go. My advice? Get involved! Review here. I cannot talk lip balms without mentioning the oh-so-famous Dior Crème e Rose (here). 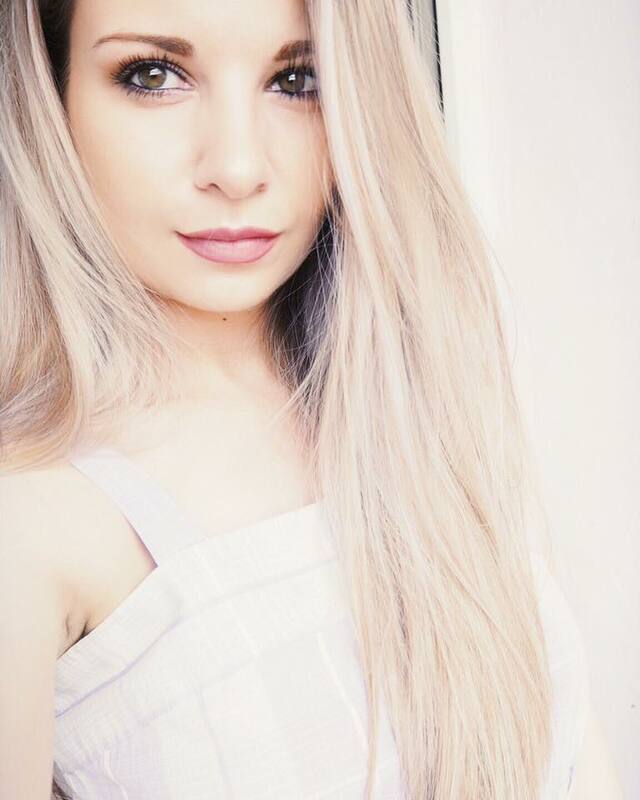 It seems to be owning everyone’s heart these days and I can see why – it’s love. This beauty knows a thing or two about lip moisturizing and let me tell you - when used as overnight treatment the results are downright incredible! Hello nourished, softer and plumper lips! The somehow thicker, waxy texture is not my favorite but the results are mind-blowing so it’s all good. Crème de Rose has the most amazing non-artificial rose scent, which I absolutely adore and which adds to the whole luxury feel of the product. If you are not willing to splurge on a lip balm, the Soap&Glory A Great Kisser (here) balm is just a fraction of the price and it’s a pretty decent drugstore alternative. EOS lip balms. They are fun, colorful, affordable, taste amazing and above all – offer amazing hydration when you are on the go. Throw these little spheres in your handbag and your lips will be sorted for the day. They are super lightweight and glide on like breeze, leaving the lips feel super soft and smooth. 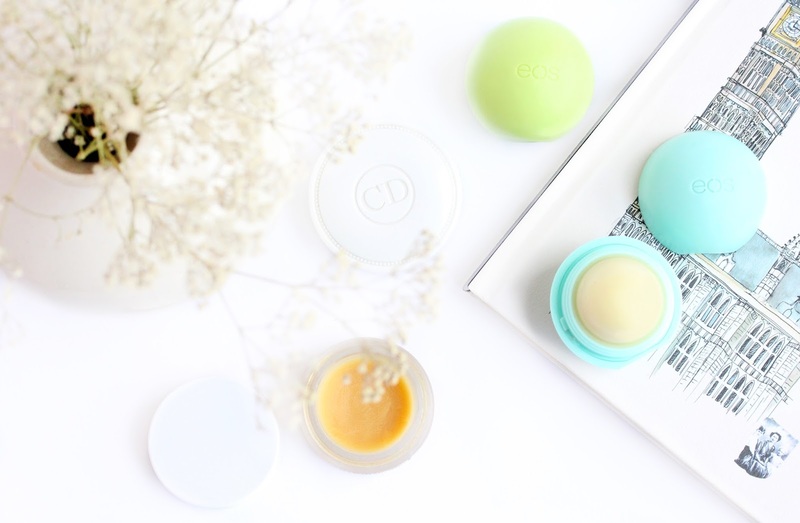 The EOS balms sit brilliantly under lipstick and prime the lips wonderfully. They are 95% organic, 100% natural, and free of parabens and petroleum. Great! My favorite scent is Sweet Mint (here), which has a nice minty flavor and I adore the tingly feeling it gives – so refreshing. Another one of my favorites is Honeysuckle Honeydew (here), which I find hydrates the best. Have you tried any of these lip balms before? Which is your favorite lip balm that helps you combat the dry lips? I have been wanting to try the EOS lip balms and the nuxe ones for such a long time <3 Sooooooon! Ooh I'm absolutely obsessed with both my CD Creme de Rose and EOS balms! Eos Balms are so great for on the go. Nuxe Reve de Miel is my favourite lip balm ever, and the Dior one looks so gorgeous. Great post. I really want to try EOS lip balms! love! such a pretty color! I really want to try out Creme de Rose, but I've heard they're discontinuing it. Why, I have no idea because everyone seems to love it. Just picked up some EOS the other day and for such a raved about product, it's so inexpensive! Lip balms are a bit of a weakness for me! I love trying new ones!